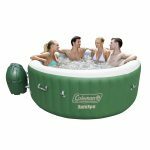 What Type of Hot Tub Should I Buy? Thinking of buying a hot tub but the options available in the market confuse you? Well, let’s make it a little bit easier to make your mind up about the hot tub you want to buy. If you have ever wondered what type of hot tub I should buy, then you are at the right place. When you’re looking for hot tubs, there are two basic types of hot tubs. What Hot Tub Temperature is Safe During Pregnancy ? Using a hot tub during pregnancy is something that most expecting mothers want to do, but they should practice certain precautions to make sure that using the hot tub is safe for them and their baby. Soaking in a hot tub has several benefits such as a relaxed feeling, lowering of stress, and lowering of blood pressure, better sleep, and much more. When it comes to pregnant women, using a hot tub at certain times during the pregnancy is not recommended by the medical professionals. Hot tubs should be avoided during the first trimester as even a ten-minute soak in the hot tub can raise the body’s temperature that can be harmful to the fetus(1). Keeping hot tub’s temperature lower than 100 degrees F can be ideal, but even then pregnant women should not soak in the tub for more than ten minutes at a time(2). Hot tubs are a great addition to any home as they offer a range of health benefits. Hot tubs are also a nice way to for friends and family members to enjoy each other’s company. What’s more, the whole family can enjoy the therapeutic benefits of soaking in a hot tub. The hot tub benefits are manifold. From physical and emotional betterment to pain relief, better sleep and much more can be achieved by a simple soak in a hot tub for a few minutes every day. What to Wear in a Hot Tub? Sitting in a hot tub is a great way to spend time with your friends and family members. There are several benefits of a soak in hot water; your skin feels better, your body flushes out toxins, and you can get relief from any joint or muscle pains. But if you are planning to join your friends in a hot tub, what should you wear? There are often specific rules of etiquette that one should follow when there are others present in the hot tub. While you should use your common sense while dressing for a hot tub party, it is always good to have a starting point for the kind of unspoken rules of dressing you should follow in a hot tub. So what are these rules and suggestions? Let's take a look at some of them. What to Wear to a Hot Tub Party ? Stay with the era; make a mark not a mistake. Your royal spa is perfect for both, enjoyable on your own and having fun with pals. One of the exceptional ways to enjoy your warm bathtub with buddies and your own extended family is to host a hot bath tub party. You’ll get to show off your custom made hot tub and spend time with the people you love. There are actual unstated rules to comply with while being a hot tub guest, as well as a handful of safety precautions which can be vital to apprehend before the fun can start. So got called to a hot tub party and wondering what to wear? Yes, most folks wonder, what to wear to a celebration as there are various collections of choices but selecting one can be a chunk overwhelming. What is the Biggest Hot Tub? Hot tubs are definitely many people’s choice for one of the forms of refreshment, relaxation or even for partying hard. Hot tubs are used for many purposes and one of the simplest sources for the revival of lost energy. They are the stress busters for some, pain relievers for some, the source of spending some quality time with family and a place for your kids to throw out a lavishing pool party to their friends. Hot tubs have their advantages, and it’s necessary to consider many things before purchasing a hot tub.